A mortgage is a bittersweet thing for a credit score. Unless you’re paying your house in full, taking out a mortgage is just a part of the home ownership process. Financial advisors have always warned home buyers that a high credit score will benefit them in the long run. A solid credit score will yield a lower interest rate which reduces the total amount of money being paid through interest over the course of the mortgage. Once you do become approved for your mortgage, it will affect your credit score in several ways. As soon as you obtain your mortgage, expect your credit score to temporarily suffer. Your credit score is essentially a representation of your ability to pay back any debt. Because this may be one of the largest loans you’re going to be taking out in your entire lifetime, your score will go down until you actually start fulfilling the mortgage payment obligation. Because you’re going to see your credit score drop, it’s important that you focus on raising it back up to what it was prior to taking out a mortgage. This can be done by being responsible with your monthly payments. There are multiple services that claim to raise your credit score in numerous ways, but many of them are either scams or will just hurt your score more than it will benefit it. Be a responsible borrower and continue to make timely payments. Your score will then naturally rise over time. Kuba Jewgieniew is the head of Realty ONE Group, a real estate brokerage firm that has nearly 5,000 associates in California, Nevada, and Arizona. Summary: Cayman Island properties make excellent long term investment opportunities. As your wealth grows, so to do your opportunities. Some are inevitably better than others. Cayman real estate offer investors both foreign and domestic, a unique opportunity. International investors have been pouring cash into the tiny island paradise, which has inevitably increased their quality of life and standard of living. This in turn has created an excellent opportunity for investors, but that is not the only positive, there’s more. Grand Cayman real estate really doesn’t cost you long term. Say you purchase a property in cash. Aside from upkeep costs, that property carries no taxes. There is a one-time fee due upon purchase, and there is a small stamp duty to pay on legal documents. Any income you make from renting your property is also tax free, making it a prime spot for couples saving for retirement. Grand Cayman has been on a steady track of overall growth since the 60s. The island continues to offer a thriving banking industry, which in turn fuels the construction economy and tourism industry. Cayman Luxury real estate tends to hold its value, if not increase over time. Especially if you purchase property in a desirable location such as the beach. Cayman Island property offers a great long term opportunity for those looking to save for retirement. Tax free income provides great return, and reduces the costs associated with owning. Come and see for yourself when you visit Grand Cayman! The following is a short Len Blavatnik bio, president of Access Industries and head of the Blavatnik Family Foundation. Len Blavatnik emigrated from Russia to the United States in 1978, receiving citizenship six years later. He was born in what is Ukraine today and attended the University of Moscow. He has his Master’s degree from Columbia and an MBA from Harvard. In 1986, he started Access Industries, an industrial group he is still the chairman and president of. Today, Access Industries has long-term holdings in South and North America as well as Europe. Their investments cover such industries as oil, coal, aluminum, petrochemicals and plastics, telecommunications, media and real estate. Len Blavatnik, a Billionaire, was recognized by the Sunday Times as being the second wealthiest man in the U.K. Forbes’ has Blavatnik as the 80th wealthiest man in the entire world, with a net worth of $11.9 billion. Despite his wealth, Mr. Blavatnik is an enthusiastic entrepreneur. He sponsors a 20,000 square foot food bank in Israel that, amongst other things, feeds those in need and sends out meals to families for Jewish holidays. He also oversees the Blavatnik Family Foundation. In 2010, he and the foundation donated £75 million to Oxford, one of the largest donations the school has received in its 900 years. Blavatnik is Jewish and has two children with his wife, Emily, a son and a daughter. Article submitted by Access Industries, Inc. The privately held industrial group focuses on natural resources and chemicals, media and telecommunications and real estate. Len Blavatnik graduated with a Masters degree in Computer Sciences and received and MBA from Harvard Business School and from then on established his own group of companies. The group mainly invests heavily on a wide array of industries such as petrochemicals, plastics, telecommunications and even real estate. In 2010, Len Blavatnik was named sixth richest man in the United Kingdom; his wealth would then be distributed to various charities such as food banks and largely contributed to a new school of government built by the University of Oxford. Numerous educational boards have featured Mr. Blavatnik, Cambridge University as well as Tel Aviv University lists him as a part of their official board of directors. His educational pursuits have always been a large focus in his life and his contributions to this sector have become both innumerable and invaluable. He has successfully proven that business can be used to help the world become a better place, rather than used to merely produce revenue and profit. In recent times, Harvard has recently named five outstanding individuals that graduated from the Harvard Business School; called the Blavatnik Fellows in Life Entrepreneurship. These Blavatnik Entrepreneurs will work closely with Harvard’s own Research and Development branch to commercialize life science oriented technologies. These entrepreneurs are building up the world’s technology to make it better for the future generation. Be your own Len Blavatnik as a social entrepreneur and invest your own money to fund the future’s wellbeing. Everybody wins. Become part of the Blavatnik Entrepreneur community and help make the world a better place. These various industries under the holdings of Access Industries will serve as a great platform for your investment. It is almost an assured way of growing your funds as well as making the world better to live in one industry at a time. It is the dream of every aspiring businessman to father a global conglomerate with diversified holdings in various industrial sectors – it is a goal fueled by ambition, and inspired by one’s interests.Needless to say, the road towards achieving that goal is never easy, and obviously not for just anyone – but those that do brave the challenge emerge victorious, becoming one of the world’s titans and pinnacles of progress. Len Blavatnik is one such titan, having holdings in three continents (North and South America, Europe) covering three various sectors: Natural Resources, Media and Telecommunications (Blavatnik Media), and Real Estate, Retail, Emerging Technologies and Life Sciences, under a singular conglomerate – Access Industries, Inc. Though the company itself is not a common sight to the the public eye, many of its subsidiaries are – including Tory Burch LLC, an up and coming apparel fashion house and Warner Music Group, one of the big three recording companies, which has given rise to the Bee Gees, Bruno Mars and Frank Sinatra among others. It is heartening to know that conglomerates such as Access Industries, with their grandeur and prominence, are also contributors to society in a much more mundane and personal way. The philanthropic Len Blavatnik with the Blavatnik Foundation, has been a prominent contributor to academic institutions (Yale, Oxford, Harvard, among others) with the vision of helping the world’s most brilliant realize more things to better aid humanity, and to the arts (The National Gallery of Art, The Metropolitan Museum of Art, among others) with the intent to preserve the most amazing facets of our humanity. Article submitted by Access Industries Inc.People’s lives have been touched by Len Blavatnik Access Industries in more ways than anyone can possibly imagine, further this noble cause. Some might say that the age of the great capitalists that shape the American economic landscape is over. A lot of people think that the age of Vanderbilt, Rockefeller and Carnegie is long gone and American capitalism in the industrial age sense of the word is dead. These people could not be more mistaken. Though the economic landscape has changed significantly from the turn of the 20th century, becoming a great industrialist is still a possibility. One man of note in modern capitalist America is Ukraine-born American industrialist Len Blavatnik. Blavatnik company holdings include involvement in Russia, Europe, North and South America; in various industries such as natural resources and chemicals, media and telecommunications and real estate. One of Blavatnik’s most famous investments is ownership of Warner Music Group. The success achieved by Len Blavatnik, a Ukrainian immigrant goes to show that the American dream is not dead and anyone can make it big in the land of opportunity through hard work and determination. Blavatnik earned his MBA from Harvard Business School in 1989. Prior to that, he founded his business firm in 1986. Through smart business deals he managed to build an industrial empire all over the world. Along with Blavatnik’s business success, he is also known for his philanthropy. Blavatnik news pieces usually involve his involvement in many cultural and educational projects such as the British Museum and Royal Opera House. Blavatnik’s life and work goes to show that the American dream of capitalism paired with philanthropy is alive and kicking in this modern age. Article submitted by Access Industries, Inc. Access Industries, Inc. is a diversified conglomerate involved in a wide range of industries in a global scale. It is also active in philanthropy through the Blavatnik Foundation. If you are looking for something different for your house décor, one of the things that you can do is buy some beaded placemats. There are a few advantages of buying these kinds of placemats. Here are the reasons why you might want to add these placemats to your kitchen décor. Beauty – These placemats are beautiful. They are something that adds a different look to a kitchen or a dining room table. They are much better than some of the placemats that are used in some homes. Elegant – The placemats are elegant. They add a touch of class to the room that they are in, whether it’s a kitchen or a dining room. When you are looking for the above placemats or you would like to get some beaded napkin rings, there are a couple of things that you want to consider to find the right ones. Budget – The first thing to consider is your budget. This is going to help you choose the ones that you can afford. Color – The second thing to consider is the color of your kitchen or your dining room. This is going to help you find the items that are going to best match the décor. If you are looking for the right place to buy your napkin rings or placemats, one of the best places to go is Details of Class. They have a lot of different things that you choose from, including the placemats, napkin rings, and Kim Seybert napkins. This is continuation of our last post. Once you’ve made the big decision as to what your stock/bond allocation should be, it’s time to do your fine-tuning. Just as stocks and bonds tend to poorly correlate, different kinds of stocks and different kinds of bonds similarly have limited correlation. That’s especially true on the stock side of the portfolio. Smart investors will make sure to have both domestic and foreign stocks, stocks in both large companies and small companies, and both value and growth stocks. Growth stocks are stocks in fast-moving companies in fast-moving industries, such as technology. Value stocks are stocks in companies that have less growth potential, but you may be able to get their stock on the cheap, at times making them better investments than growth stocks. Just as you get more bang for your buck but also more bounce, with stocks versus bonds, you also get more potential return and additional risk, with small-company stocks over large-company stocks. Although international stocks aren’t any more volatile than U.S. stocks, per se, differences in exchange rates can make them much more volatile to U.S. investors. The greater your tolerance for risk, the more small-company stocks and more international stocks you might want to incorporate. 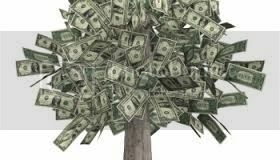 Once your portfolio grows, and you have all the broad asset classes covered, you might consider branching out into narrower (but not too narrow) kinds of investments. Possibilities would include high-yield bonds, small international company stocks, commodities and certain industry sectors of the economy, especially those that tend to have limited correlation to the market at large, such as real estate and energy. It is very hard to achieve good diversification, the kind described above, by investing in individual securities. “Unless you have a ton of money, it is impossible to own a sufficient number of stocks so as to be diversified across the board…domestic and international, companies of different sizes, and different industries. Owning mutual funds or exchange-traded funds makes achieving good diversification much easier,” says advisor Peters. Exchange-traded funds (ETFs), are akin to index mutual funds, but they trade like stocks. You’ll pay a commission to buy an ETF, so mutual funds generally will make more sense if you are contributing regular small amounts to your account. When picking a mutual fund or ETF, you not only want to find one that represents a certain broad asset class (such as large American stocks, for example), but you want one with reasonable expenses and a solid management team. One caveat: Pay little attention to which asset class happens to have run away in the past months. The vast majority of investors make the mistake of pouring money into “hot” sectors, and then selling off when those sectors cool. They are continually buying high and selling low…exactly the opposite of what you should do! Johnson points out that idle cash loses money to inflation. Any money you won’t need for the long-haul is best invested. When things get out of whack, you’ll need to rebalance and get back to your original allocation. Most financial experts recommend that you look over your portfolio either once a year or once every year and a half. If the urge strikes you to shuffle things around much more often than that, resist! “Buy and hold investors tend to be the most successful investors over the long run,” asserts Johnson. The past few years have been the ugliest thing to hit Wall Street in a very long time. We don’t need to tell you….Pick up a newspaper….Turn on the TV….Look at your dwindling account balance. Some pundits are telling us that this is the end of everything, and the collapse of the entire economy is coming. Know this: We’ve seen tough times before…many of them. And each and every time, there are those who pronounce the End of Capitalism, and swear up and down that the markets will never come back. Each and every time, they’ve been dead wrong. One of these days, they may be right. Is that time now? If anything, the present crisis is not sending a message to sell everything and hide, but rather, a message to remain well diversified, and to keep our eyes on the long-term horizon. Are you saving up for a new car? A new home? Your grandchild’s education? Eventually, of course, you’ll need to build a nest egg to carry you through retirement. How do your future needs match up with the amount you’re currently saving? These are just some of the questions you’ll need to ask yourself while constructing your optimal portfolio. Perhaps the most important question of all – but one that can only be answered by first tackling the others – is to know your time frame. In other words, when might you need to first pull from your savings? And how much might you need at that point? The need for cash…today, tomorrow, and 20 years from now…is largely what should determine which investments to plug into a portfolio, says Peters. Although the world of investments offers countless opportunities – and dangers! – all investments qualify as either equity, which means something you own (stocks, real estate, gold) or fixed income, which represents money you’ve lent in return for interest (bonds, CDs, money-market funds). Historically, equity, especially stocks, have provided much greater returns than fixed income investments, but they have also been considerably more volatile. (As we’ve seen of late.) Since 1926, the average annual return of the S&P 500 (an index of large-company U.S. stocks) has clocked in at an impressive 10.4 percent. The average annual return of long-term government bonds, 5.5 percent. But the bond market rarely goes into negative territory, and has never dipped more than 10 percent in a single year. The stock market, in contrast, loses money in almost one of every three years, and this year has lost a lot. Any good portfolio will have both stocks and bonds. Investment professionals say that these two kinds of investments have “poor correlation.” Poor correlation is a good thing! It means that stocks and bonds tend to perform better at different times. In a year that your stocks are shooting high, your bonds may lag. The next year, stocks may fall, but bonds may rise. (Treasury bond prices, especially, have been on a tear lately.) Having both stocks and bonds in a portfolio smooths out your returns, and helps you sleep better at night. But what is the best ratio of stocks to bonds to cash…70/25/5?…50/45/5?….30/60/10? That’s where your time frame becomes an essential factor. “Generally, any money that we might need to tap within the next four years, we want to keep in cash or fixed-income investments, such as bonds” says Peters. “Money that won’t be needed for five or more years, such as money for retirement, if I’m working with 30- or 40-something people, we want primarily in equity, such as stocks.” A typical 35-year-old saving for retirement, for example, might have a “target asset allocation,” or ideal investment mix of about 80 percent stock. A typical 45-year old might want closer to 70 percent. Please Read the Part II of our story next. This guest post provided by Sensa. That thinking is likely at the root of the dollar’s perennial status as a forex trading safe haven. Even though there are periods when it’s seen as riskier than other currencies, traders keep coming back to the USD for safe (well, safer) online trading. 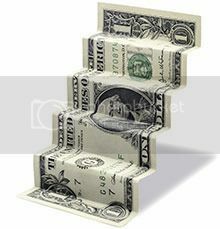 However, will the USD maintain its strength when the global economy stabilizes? The author says that recovery will lead to “a new shift toward fundamentals” and a resulting focus on the large amount of U.S. government debt. Economists have predicted that recovery could begin as early as 2010, so in the next few months, it’ll be interesting to track the USD and see if the “first in, first out” phenomenon also means that the USD is the first one to lose some of the spoils of the recession.